The content marketing case is so strong that everyone is readily lunging in to this bandwagon. The result – 30 million content pieces are shared online every single day. “Marketers always ask me how to make more or better content, and it’s almost always the wrong question. The right question is: ‘How do I get my content in front of the right people?’” – Joe Chernov – VP of Content at HubSpot. Stand out! Follow these 5. The only way to win at content marketing is for the reader to say, ‘This was written specifically for me.’ – Jamie Turner, 60 Second Marketer. A piece written for everyone makes sense to no-one. An ever-present temptation is to try to address the larger target segments with your content – in the current situation the reverse may well work better. Create more pieces of content; each piece specifically targeted at specific sub-segments or even smaller target groups. The fact is their needs are different in their own way; identify those differences, address them specifically and watch the small but highly targeted audience lap it up. Research commissioned by 3M showed that nearly 90% of the information consumed by the brain is visual. As a result, visual information gets processed by the brain, up to 60000x faster than text information. This explains why most shared content is visual. In the context of value, content marketing focus should be on creating Infographics, process or flow charts and text articles, liberally supported by pictures and diagrams. We can no longer ignore the importance of audio/video content, when YouTube is pushing to be the world’s 2nd largest search engine after Google. Creating webinars, podcasts and animated or live action videos are no longer challenging, considering, our evolution from bandwidth constraints. The medium is still relatively underserved; an opportunity to draw positive attention towards content. Surveys show: 51% Americans trust user-generated content, 16%, information on the company website, and 14% news articles about the company. The numbers won’t be very different for other markets. If you have a customer willing to lend their name and inputs to a piece of content, this can swiftly become a magnet for similar organizations, or for those with similar questions that need answering. 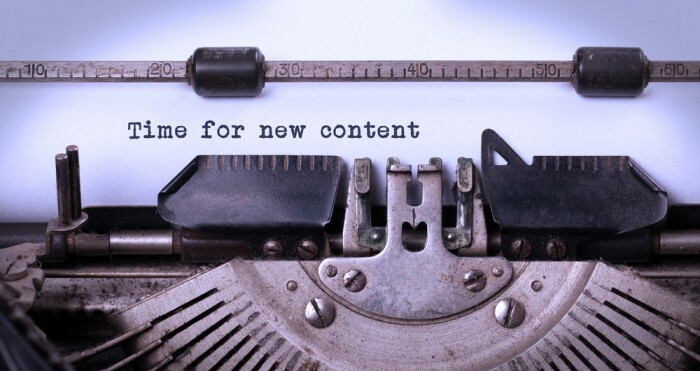 Promoting content written by someone else is more trustworthy and easier to promote. Attention spans are short and there is a lot of competition for the mental bandwidth of your target audience. A story told well, one that your audience can relate to, is likely to strike a strong chord. Given a choice, between a pedantic article and a story, the story will get picked, each time. It’s obviously an easier read and customers are bound to extract the right message. Sanjeev is a 20 year veteran of the sales trenches having sold products and services across much of the known world. He is a recent but committed convert to the power of social selling. He believes the best is yet to come in the B2B Social Media Space and would like to be around to see that. Sanjeev is a co-founder of Midas Touch Consultants, Global Youth Marketing Forum's "B2B Social Media Agency Of The Year". You can reach him at sanjeev.n@i-midastouch.com at Twitter on @sanjeevnambudir.